Up to January 16th, World Health Organisation (WHO) reported to BBC, 8,483 people had died from the disease in six countries; Liberia, Guinea, Sierra Leone, Nigeria, the US and Mali. The total number of reported cases is more than 21,373. However, after the peak of the disease last year, Ebola almost disappeared from the agenda, and thus of public attention. UN’s lead Ebola co-ordinator Dr David Nabarro about to depart to Davos said to the Guardian that half a billion dollars of aid pledged to end the Ebola outbreak in west Africa still hasn’t been paid. If the last third of the $1.5bn pledged to tackle the disease was paid the outbreak could be terminated. 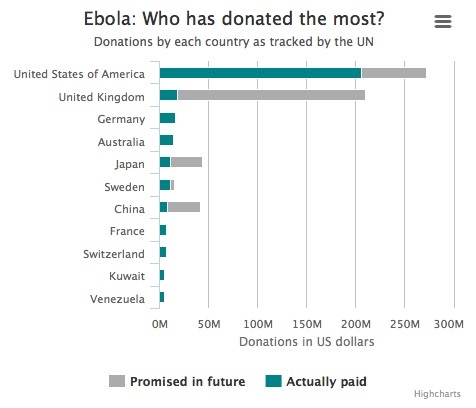 Most countries haven’t contributed their promised share for the global funding. According to the UN, the US have provided one third of the total funding, whereas China – a major investor in Africa – is accountable for just 2 %. 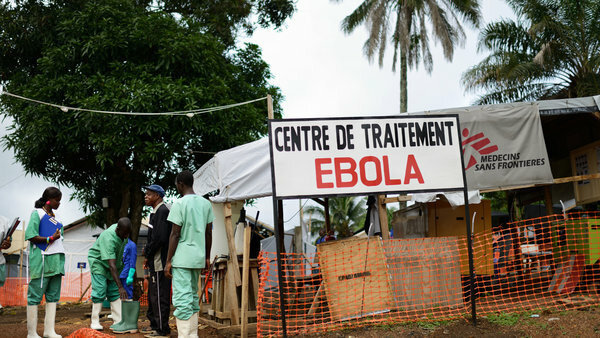 According to the World Bank the epidemic continues to spread in West Africa. Although there are signs of progress, it’s far from over, and it is „much too soon to slow down the response“.